Agricultural Research Service (ARS) engineers in Georgia have developed a network of sensors that will save thousands of dollars in drying costs for peanut growers and processors. When peanut farmers in Georgia sell their crop, they bring it to a buying point to be graded and priced. The peanuts' moisture content is measured, and if it is too high, the peanuts are transferred to trailers for drying. The drying process can take anywhere from a few hours to a few days. Throughout the process, peanut temperature and air temperature and humidity must be kept at specific levels. About once every 4 hours, someone has to climb to the top of the trailer, collect peanut samples, shell them, and measure the moisture content of the peanut kernels. 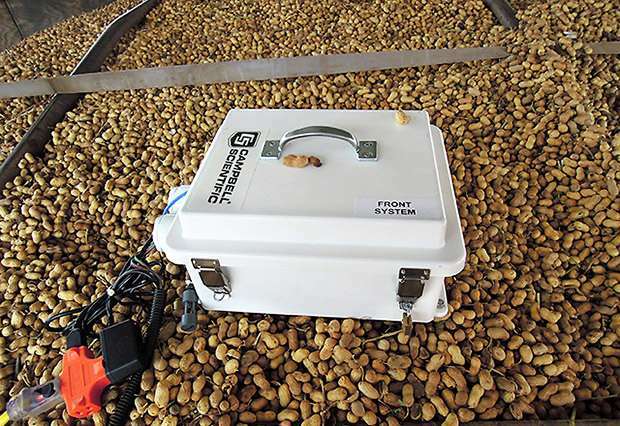 The same types of moisture meters have been used for about 50 years, and farmers and peanut processors have long asked for better ways to monitor the drying process. "We've had intense interest for years for improved technologies—both from peanut growers in the United States and, lately, from growers overseas," says Samir Trabelsi, an ARS electronics engineer in Athens, Georgia. Proper drying is crucial. If the peanuts are under-dried, over-dried, or dried too slowly or too quickly, it degrades their quality, and they will sell for a lower price. In previous research, Trabelsi and Micah Lewis, an agricultural engineer, designed a network of sensors that monitor temperatures and humidity levels inside and outside the trailers. The network is tied into a weather station that tracks outdoor air temperature, humidity levels, and wind speeds, which can all affect peanut moisture levels. In recent work, Trabelsi and Lewis upgraded the technology to give real-time kernel-moisture readings that can be sent to a computer or smart phone. That way, when the peanuts are sufficiently dried, operators know immediately to turn off the blowers. An added benefit is that no one has to climb up to collect peanut samples to check their moisture content. Trabelsi and Lewis showed that the real-time monitoring capability could save up to $22,000 per year in energy costs at a typical drying station. That's a significant savings, considering Georgia has 130 peanut buying points. Peanut growers pay to use the privately owned stations, so the technology should lower the fees for growers, Trabelsi says. Results were published in Drying Technology: an International Journal. Because "drying wagons" have more than doubled in size in recent years, Trabelsi and Lewis also evaluated the sensors' effectiveness in larger trailers. Results published in Applied Engineering in Agriculture showed that over four harvests, the sensors performed better than the currently used meters in determining drying uniformity. The optimal number of sensors has yet to be determined for the larger trailers. Trabelsi is working with a partner to bring the technology to market. He is also searching for less expensive components so that peanut farmers—and not just processors—can afford the technology and monitor their own drying. 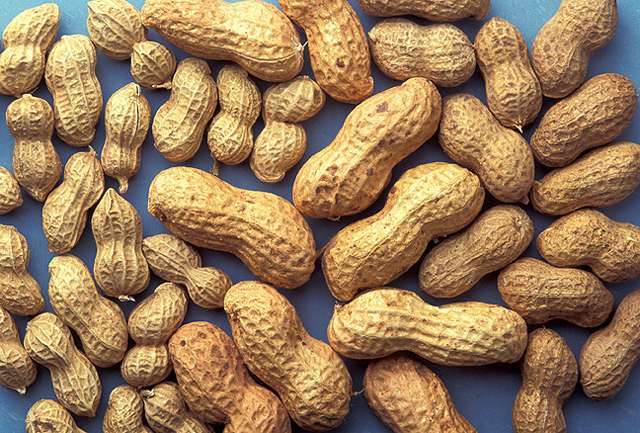 Getting in touch with your "inner peanut"
Video: Why are people allergic to peanuts?